Living in Scotland means that I’ve had to wait until mid-July for my first BBQ of the year. 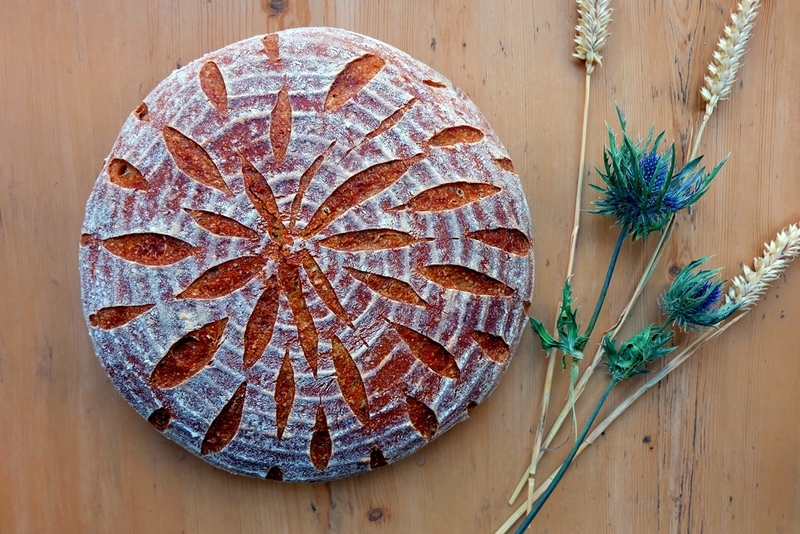 When it arrived, the allotment was in full bloom and potatoes, berries and herbs were ready to be harvested. 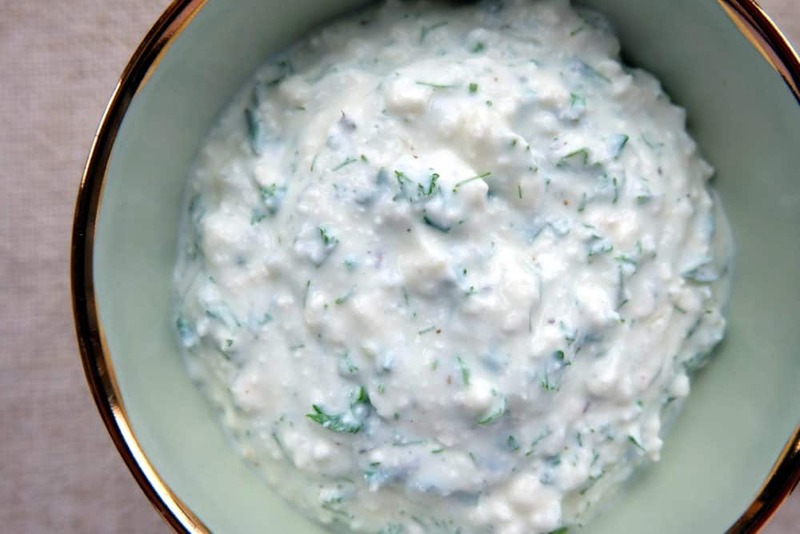 On the BBQ menu: chicken-filled cemita rolls, a potato salad with spring onions, a rhubarb and blackcurrant crumble with vanilla ice cream and this super tasty herb dip which improve will any BBQ, no matter what you are planning to serve. Try this BBQ dip recipe at your next al fresco dining opportunity, it’s versatile and goes with all grilled meats, sliced vegetables or simply with bread. 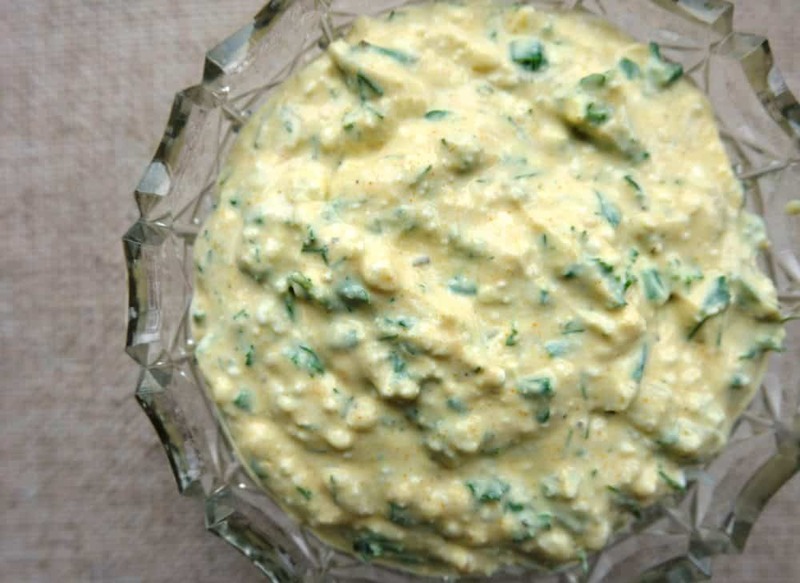 This is another one of my mum’s recipes which I enhanced by adding a few teaspoons of turmeric – it gives the dip a beautiful light yellow colour (great for brightening up the table when the sun isn’t out for your BBQ…). This BBQ dip recipe with crème fraîche and curd cheese has always been a staple at family barbecues at home, it’s easy and quick to put together.